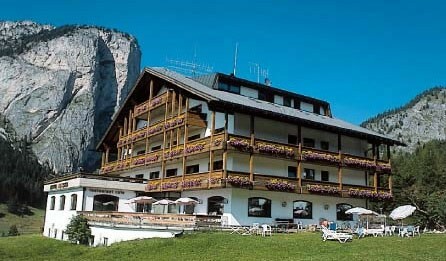 Information The majestic mountain range of the Dolomites frames picturesquely the famous holiday resort of Selva (Wolkenstein) in Val Gardena. This scenery accounts for an adventure-filled and relaxing holiday. 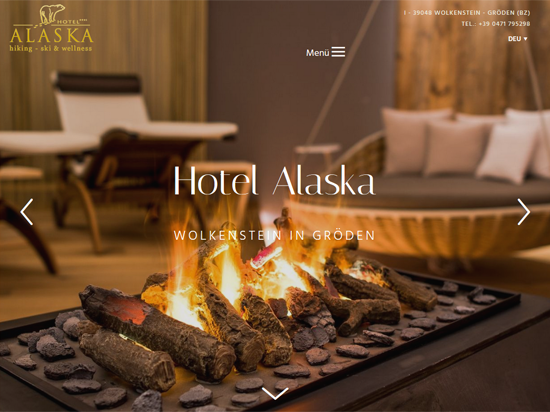 For those who want to explore these fascinating surroundings in their most beautiful form, the Hotel Alaska, at the very beginning of the nature park Puez-Geisler, is surely the best starting-point. The Mussner family would be glad to welcome you at thee Hotel Alaska. Your adventure-filled, pleasant and relaxing holiday is our greatest aim.